Hi, I'm Tony Manolatos, principal at Apex Strategies. 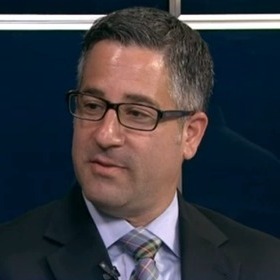 Tony Manolatos is an experienced strategist specializing in media relations, crisis communications, community engagement, coalition building, government affairs and public policy. Manolatos has more than 15 years' experience, including a unique blend of public policy, politics and journalism, that shapes the planning of effective and creative strategies. He recently served as Communications Director for the Faulconer for Mayor campaign during the primary election, and for the Stop the Jobs Tax campaign. The Faulconer campaign won the Twitter race during the primary, and polls showed for every one voter who learned about Kevin Faulconer from paid voter contact, two learned about him through earned media. The campaign to introduce then Councilman Kevin Faulconer to voters throughout San Diego, and brand him as a collaborative problem solver and effective leader, contributed to his 13-point lead to open up Election Night. Following the election, Manolatos was appointed to Mayor Faulconer's "One San Diego Transition Advisory Committee." Prior to starting Apex Strategies, Manolatos ran By George Strategies for 3 years. Prior to that he served as a deputy chief of staff and communications director to Councilman Faulconer. Before that he worked as an investigative reporter at the San Diego Union-Tribune, capping an award winning journalism career that spanned more than a decade. We are bipartisan consensus builders who assemble coalitions, develop and execute successful communication strategies, solve problems and deliver exceptional service so our clients thrive. Advised the councilman and promoted him and his positions. Developed and executed creative and timely communication strategies and messaging that generated hundreds of positive news stories. Reading, writing, hiking, jogging, watching movies, cooking, biking, football, our dogs, our friends and family.